Since your phone is with you at all times, the likelihood of it getting left behind at a bar, restaurant, gym, or other location that you previously visited is probably pretty high. And since we live in a world that isn’t always filled with angels, the chances of that left-behind-phone getting stolen and fondled deeply without your approval is probably even higher. Your first line of defense against evil doers is your lock screen. 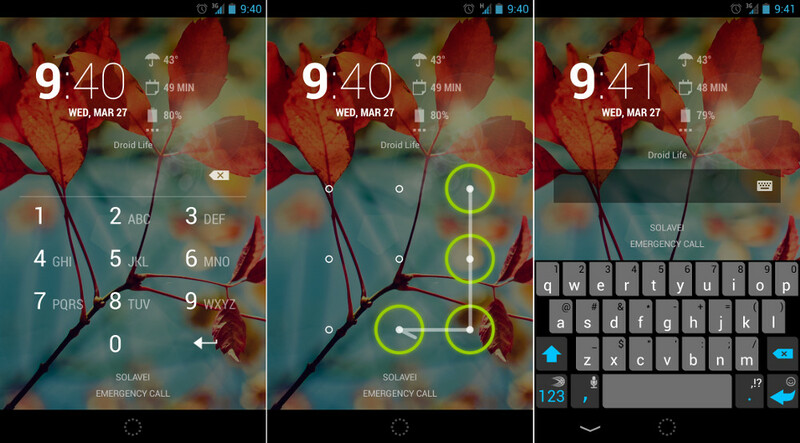 In stock Android, you have six different options to choose from for your lock screen, all of which offer their levels of security. If you use a non-stock Android device like the Galaxy S3, you may see some differences in functionality between the types we’ll talk about in a minute, but for the most part they all act in a similar fashion. 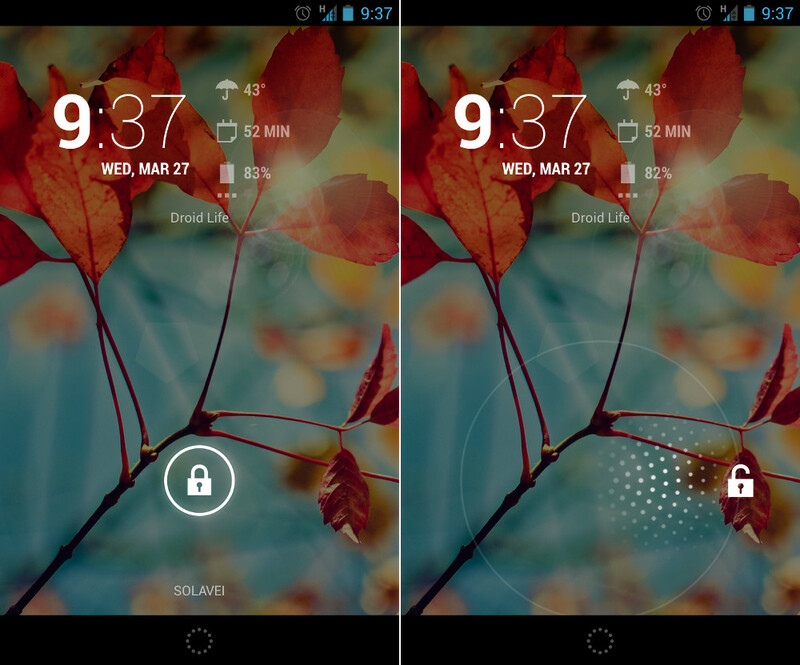 First, to access your lock screen options, the universal location tends to be in Settings>Security. From there, you should see an option towards the top called “Screen lock,” which then takes you to your lock screen options once tapped. As you can see in the screenshot below, stock Android offers options for None, Slide, Face Unlock, Pattern, PIN, and Password. Let’s talk briefly about each. 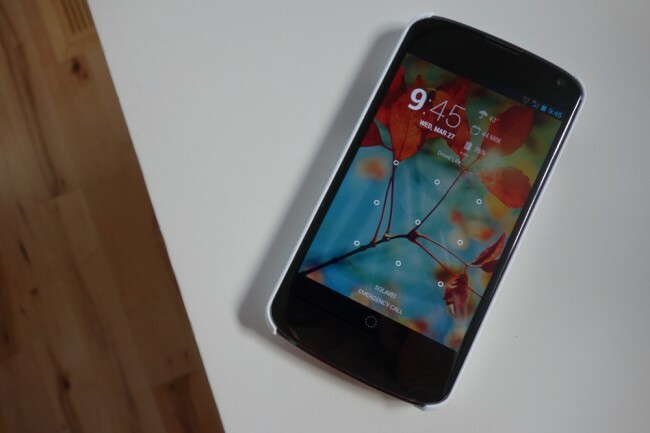 Slide is probably the most commonly used lock screen of all – it’s basically the default. This lock screen is not secure by any means, and only asks that the user of the phone grab the circle with a lock inside and slide it outside of a larger circle to unlock the phone. There are no passwords or patterns, it’s simply a way to keep your phone from turning itself on and then accessing all sorts of info in your pocket or purse without your knowing. 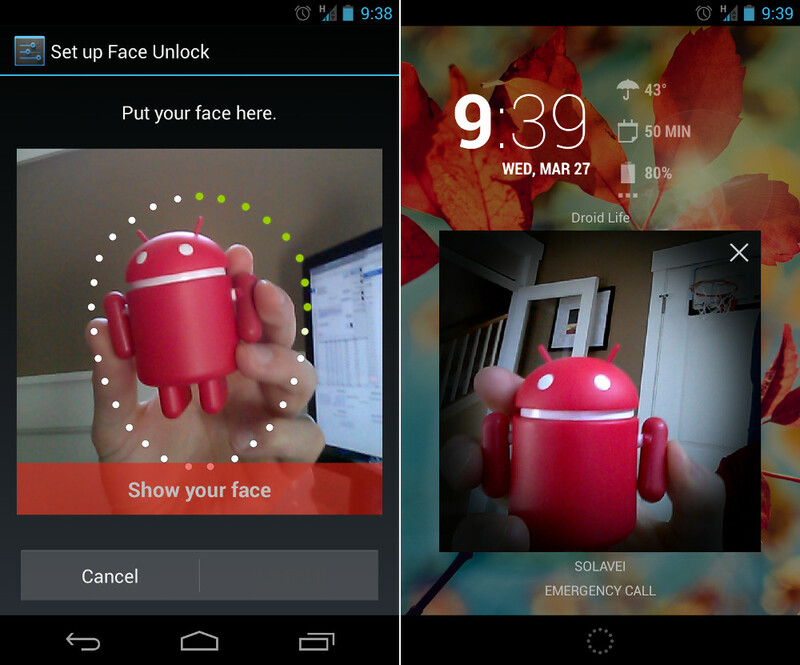 Face Unlock was introduced back in Ice Cream Sandwich as a fun way to unlock your phone using your face. In order to set this option up, you have to place your face inside of a face-shaped ring of dots using your front facing camera until the device decides that it knows your face enough to be able to unlock with it. Once approved, you’ll also be asked to provide a backup option in case the device cannot recognize your face. The two backup options are PIN or pattern. With Face Unlock setup, you wake your phone and then set point your front facing camera at your face. If it recognizes you, it will unlock almost immediately. If not, it will ask that you complete your backup PIN or Pattern unlock. People have found ways to trick Face Unlock from time to time, so I’d say that while it’s more secure than Slide, it’s not as secure as the next three. Pattern, PIN and Password unlocks are exactly as they sound – you either create a pattern, a numeric PIN, or an alpha-numeric password that needs to be entered in order to unlock your phone. These are likely the most secure of them all. If you don’t know the pattern, PIN, or password, you are not allowed to access the phone. 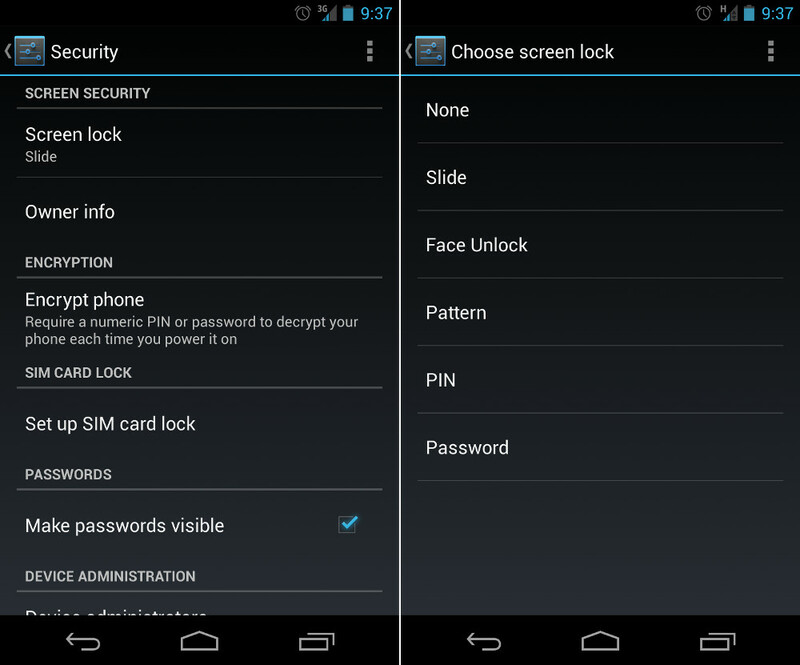 So those are lock screen security options. Any questions?